The Ponderosa Classroom Intensives are designed specifically for those individuals with a love of flowers that are interested in gaining a deeper understanding of the art of floral design. Often exploring a new art form can feel overwhelming, but during these classes we’ll help make floral design approachable and help strip away the fear that can stop you from pursuing your passions and following your intuition. We have designed these sessions to compliment each other, covering a wide-range of floral designs, from table arrangements to bridal bouquets. We value both old school and new school techniques, and look forward to helping you develop a strong foundation in the art of floral design that will support your journey no matter where your flower adventures may take you. 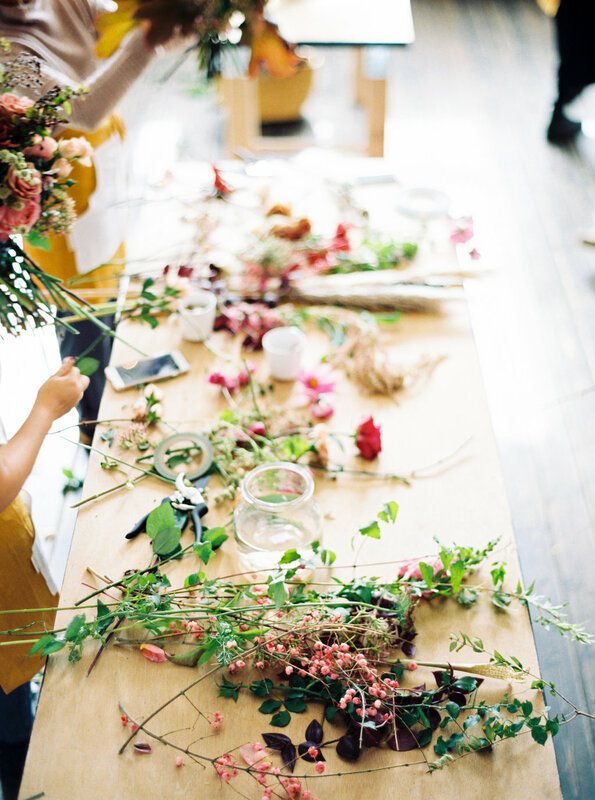 These intensives are designed for a wide range of people, from those with no prior experience in floral design to florists with a few years under their belt. Over two days we’ll cover everything you need to know to get started with your artistic floral practice. Like other artistic practices, you need to have a grasp of the basics to start to truly explore the medium of floral design. You'll learn the "how and why” behind some traditional techniques, balanced with innovative techniques that we love and that compliment the Ponderosa & Thyme approach to floral design! One of our most popular topics, handheld flowers are a great place to start exploring your artistic voice in floral design. Whether you want to design something simple with flowers from your garden or create a stunning bridal bouquet, hand held flowers are a fun and flexible way to experiment with color, texture and shape. 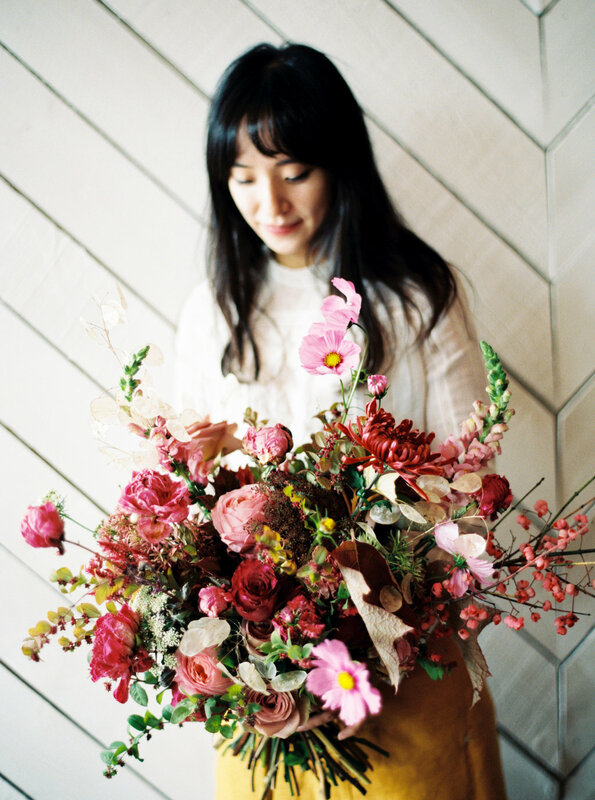 You will gain a deeper understanding of floral design as we discuss the value of flowers and we’ll share our practical tips and tricks for defining your personal brand from both the strategic and artistic perspective, to help you identify your unique creative voice. 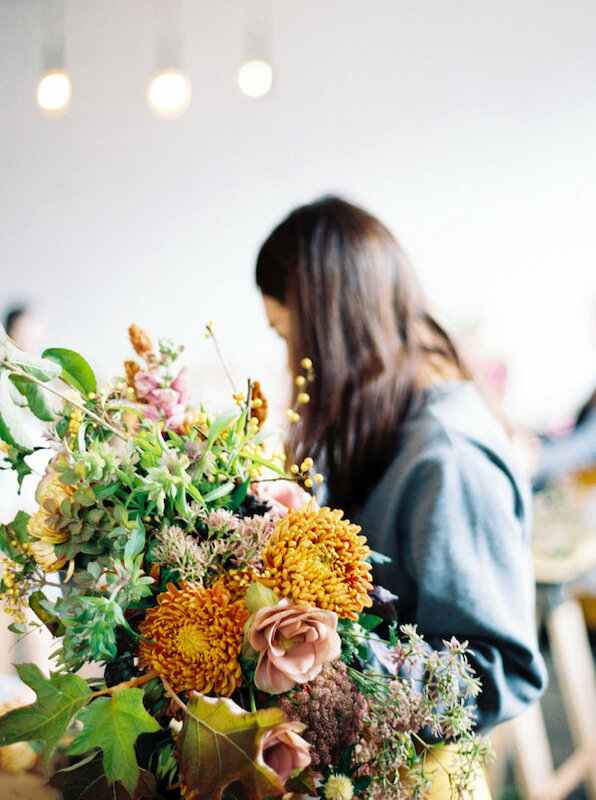 Join us for a one-day intensive all about the wonderful world of event floral design! We believe everyone can incorporate florals in a practical and beautiful way for any kind of event, and during this class we will teach you how! We will learn about the different floristry roles in larger events, and together we will create beautiful tablescapes and floral arches to be enjoyed at our community dinner together at the end of the day. Lecture | Setting up your Studio - What is in a floral studio space? 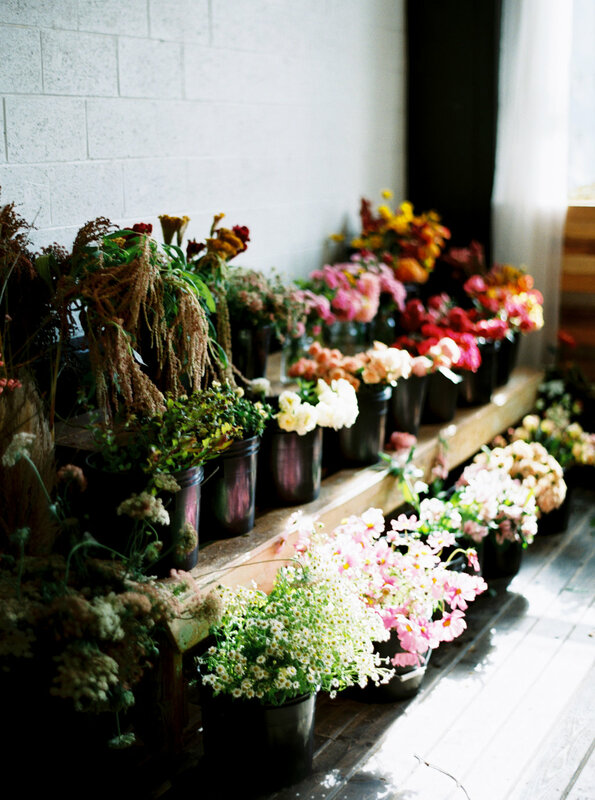 We will discuss all of the necessary elements of a floral studio for your own personal floral practice! Lecture | Basic Floral Techniques - Discussion and demonstrations of wiring, taping, gluing techniques, and applications. Hands-on Session | Personal Flowers - Everything you need to know about creating wearable floral. Lecture and Exercise | Capturing your Work - It's important to know how to capture and document your designs. We will discuss photography basics with a focus on phone photography. Lecture | The Value of Flowers - What is an arrangement worth? How do florists price arrangements? We will discuss the value of flowers, and the impact of pricing on the local market. Lecture | What is Your Personal Brand - How do you communicate your style and the type of florals you want to create? We will discuss how to develop and illustrate your personal brand in your portfolio and social media to attract the right people. Lecture | Working with Clients - No matter what you do you with flowers, you will likely have to work with a "client" at some point. We will give you our best advise on how to work with a variety of clients using florals as an example, covering topics like: What you should (and shouldn't!) promise to clients in order provide you the most flexibility to deliver a final product your clients will be happy with, and that you can be proud of. Lecture | Events & Weddings- Discussion on real weddings and events, and the different roles within floristry. Group Hands-on Session | Creating the Table -In a group, you will arrange & style a table setting according to a brief providing by “the client”. *A Note about Floral Foam: although we try to avoid using it on a regular basis, it’s important to know when Floral Foam will likely be necessary, and how to use and dispose of it properly. Guests are responsible for carefully reviewing all Terms & Conditions, and to fully understand the agreements contained therein. By registering the Guest acknowledges and agrees to all Terms & Conditions. See the Registration form to review the Terms & Conditions.